Established in 1985, Tai Cheer Industrial Co. initially generated ball-bearing slide roll forming machines, and in 1993 became in the production of ball bearing drawer slides. With experience in the industry for more than 30 years, the company is now able to offer high-end quality products to its clients. 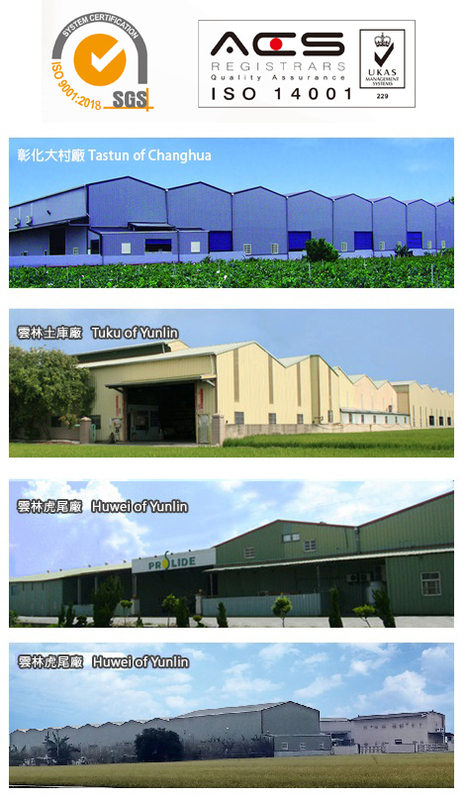 Today, Tai Cheer has three manufacturing plants in central Taiwan, with two located in Huwei and Tuku township of Yunlin County and one in Tastun of Changhua County. Tai Cheer has been ISO 9001: 2015 and ISO 14001:2015 certified and its plants have a total of 100 production lines, turning out quality products to meet the demand of customers. The consistent product quality and punctual delivery has been highly recognized by many renowned furniture manufacturers in Europe and the United States. The company supplies its products mainly on an OEM, ODM, or OBM basis, and welcomes special orders with special customer specifications.